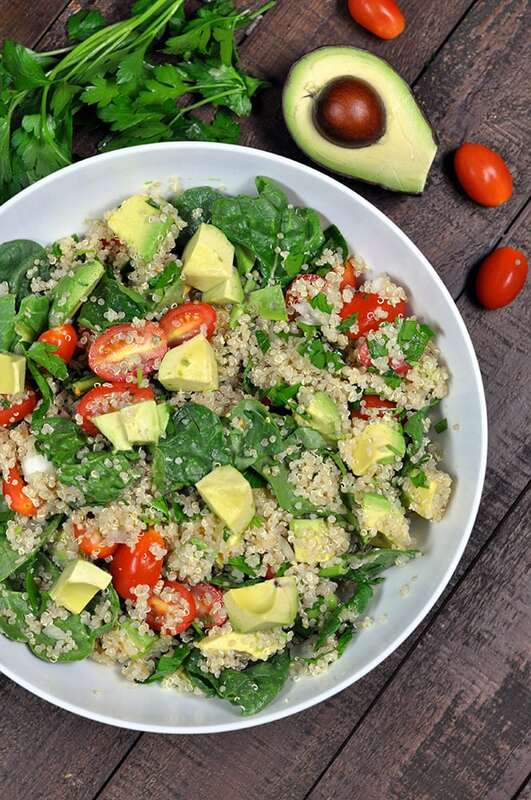 You need to try this Quinoa Salad with Avocado and Tomatoes. I am a huge salad lover. That is probably why I have so many healthy salad recipes on my blog! This is quickly becoming my new favorite. I am enjoying a bowl as I type this. 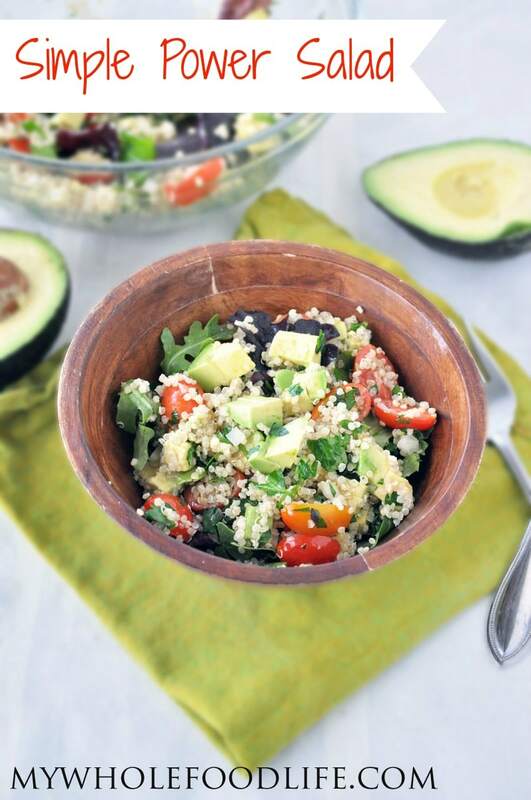 This Quinoa Salad with Avocado and Tomatoes is a great post workout meal. You really can’t go wrong with avocado on a salad. One of the things I like best about this quinoa salad is that it only contains simple ingredients that you may already have on hand. It took me just a few minutes to make. I used quinoa because it’s a complete protein. I made the quinoa yesterday so I could throw the whole thing together easily in the morning. This quinoa salad with avocados is vegan and gluten free. I also think this would be great with cilantro instead of parsley. A quick and easy salad that will leave you feeling great! In a small saucepan , combine the quinoa and water. Bring to a boil, then cover and turn down to simmer until all the water has been absorbed. It usually takes about 10 minutes. Let the quinoa cool before making this salad. Add all the ingredients to a bowl and toss well. This salad can also be made with cilantro instead of parsley if you like. The salad should last 3-4 days in the fridge. Enjoy!